Quality, Durability and Reliability. 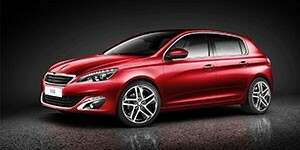 3 words that are synonymous with the word Peugeot. From humble beginnings in the industrial manufacturing space to the quality care maker they are today, Peugeot prides itself on reaching for technology to continually improve its product and the processes behind its manufacture. A machine like this shouldn’t be left to just anyone. It requires know-how, expertise, knowledge to keep your Peugeot in top condition. Superior has this in abundance. We know Peugeots!